Has anyone ever used this sub mix? I had it mixed into my tank once with play sand and EE and someone in another group a couple of years ago told me to change it out because they don’t recommend it due to the Instant Ocean mixed in. There were concerns that too much marine salt will burn molters and cause deformities. Plus, it is very pricey like $15.25 and some people may prefer to stick to play sand since it’s cheaper ($4-5 for a 50 lb bag) and easily available at most hardware stores. I have my substrate mixed with Eco Earth, Quikrete Playsand and Instant Ocean salt water mixed 1/2 cup to 1 gallon of dechlorinated water. I have never had any issues. I believe as long as you stay with the recommended mix as on the Instant ocean it is fine. Also if you mist your substrate you must use fresh water NOT salt. The water slowly evaporates but the salt doesn't. If you would spray with saltwater the salt will eventually build up over time eventually harming the crabs. With shipping it's almost $28 for a 25 lb bag! That will get very pricey very fast! 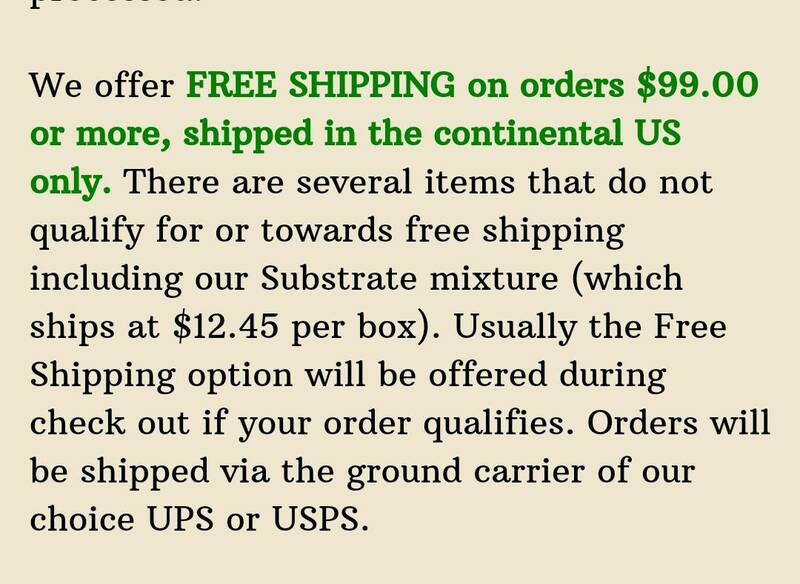 You can easily buy all the supplies you need to mix 200 lbs of substrate for around $60. The substrate from HCP is fine, just not as cost effective as DIY'ng your own mix. All my substrate has always been mixed with saltwater. 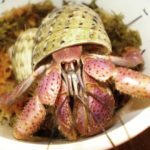 The salinity is diluted greatly when all the sand and eco earth is mixed in and unless one is constantly adding more salt water to their tank, the levels won't build to a point where crabs are at any risk. Thank you, Soilentgringa! Yeah, it is kind of pricey as I stated. Like $15.25 a bag but they’re out of it until the end of the month so I won’t be able to calculate shipping. crabby33 wrote: Thank you, Soilentgringa! Yeah, it is kind of pricey as I stated. Like $15.25 a bag but they’re out of it until the end of the month so I won’t be able to calculate shipping. This is from their site. I have considered ordering a bag to make it even because my sand mix has settled and it’s under 4” in some places. crabby33 wrote: I have considered ordering a bag to make it even because my sand mix has settled and it’s under 4” in some places. Mine is terrible along the back like that because they are always hiding in shallow holes there. My sand is VERY uneven these days because of all their pits, holes, valleys, etc. A lot of my stuff has sunk also but I’m scared to pull it out because of possible cave collapse so basically my tank is a mess! Lol they even had the small pieces of cholla wood sunk in like tree trunks so if I tried to add sand I’d bury those too so I DID slowly pull those out and a large piece of bark. Anyways I really like the sand from there. I bought 1 25 lb bag when I first set up the tank and added that to the top of the existing play sand mix I had. Then, maybe in October I bought 2 more 25 lb bags just to have and have only used half off 1 bag topping off slowly so to me it was worth the shipping for the convenience. Yeah, and I can’t churn the sand either because I have a molter right up next to the glass. I have a book covering his “window”. He’s been there for almost 5 weeks now and I don’t want to collapse his cave. crabby33 wrote: Yeah, and I can’t churn the sand either because I have a molter right up next to the glass. I have a book covering his “window”. He’s been there for almost 5 weeks now and I don’t want to collapse his cave. I remember when we had 1 like that...I taped an old school worksheet of my sons to the glass! It’s the pits when I want to churn the sub but I can’t because a crab is molting. Every group has their own "beliefs" I will tell you that I have mixed my substrate with EE, playsand and Instant Ocean I've also added real beach sand to my crabitats. I wouldn't recommend purchasing live sand - I use dry sand from the beach, as would HCP. Instant Ocean is not the same as using the water that is included in the water that is included in the live sand for aquariums. When using live sand for aquariums that has organisms/beneficial bacteria that helps cycle aquariums faster. When those die, that will cause an ammonia spike in your tank.